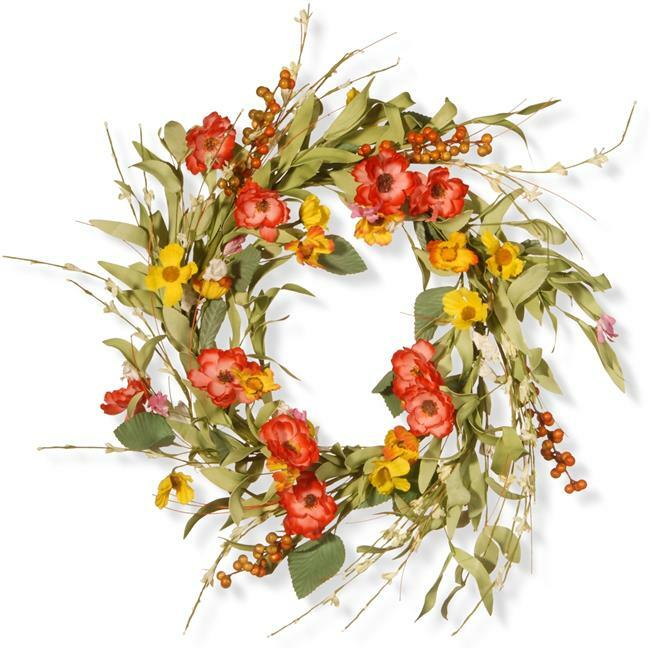 This wreath features a swirl of assorted yellow, pink and white flower blooms mixed with stems of leafy greens on a thick vine ring. A colorful and attractive decoration for welcoming the spring and summer season. Display on doors, walls and windows in indoor or covered outdoor locations.